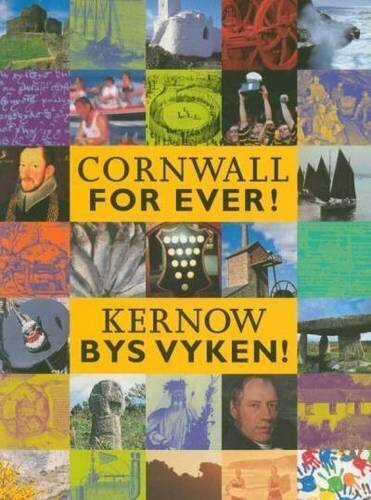 Michael Joseph An Gof | Cornwall For Ever! Michael Joseph An Gof was a blacksmith from St Keverne. He led an army to London to protest against taxes. Michael fought a large battle against the army of King Henry VII of England. When he lost, he was captured and killed. Michael Joseph An Gof o gov dhyworth Lannaghevran. Ev a hembronkas lu dhe Loundres rag protestya erbynn tollow ha degeans Senedh Stenek Kernow. Michael o an ledyer yn batel vras erbynn lu Myghtern Henry VII a Bow Sows. Pan gollas, ev a veu synsys ha ledhys. Michael was a blacksmith (a metal worker) from St Keverne on the Lizard Peninsula. An Gof means ‘the smith’ in the Cornish language. It is very likely that Michael spoke Cornish. Because blacksmiths turned ore (rock containing metal) into metal objects, they were once thought to have special powers. They were also big, strong men because their work was very hard. In 1496, King Henry VII of England decided he would close Cornwall’s Stannary Parliament. The next year he collected taxes from people in Cornwall to pay for his war with Scotland. This made Michael, and many other people, very angry. Michael was popular with the working people. In June 1497, he became the leader of an army of Cornish people who were furious about what King Henry had done. Together, they marched to Bodmin. There, a man called Thomas Flamank joined Michael as a leader of the Cornish army. Thomas knew a lot about Cornwall’s Parliament and its laws, and said that King Henry’s taxes were illegal. Together, Michael and Thomas led an army of thousands of Cornish people on a march to London to protest about the taxes. They believed they could change the king’s mind and have Cornwall’s Parliament opened again, but Henry would not allow it. People in London were terrified of the Cornish army, and the royal family hid in the Tower of London for safety. On 17th June 1497, Michael and Thomas led the Cornish army in a battle at Blackheath against King Henry’s army. The Cornish people fought bravely but their army was far smaller than the king’s. Michael knew he couldn’t win the battle and had to give up. When he tried to escape, he was captured. Michael and Thomas were taken to London. King Henry decided that they should both be executed (killed) for leading the Cornish army. Records describe Michael as being brave, believing that he had done the right thing. Before he was killed, he told people that he would “have a name perpetual and a fame permanent and immortal”. An Gof Gardens street sign in Bodmin, named after Michael Joseph An Gof. Every year, a ceremony is held in the village of St Keverne on 27th June, which is the anniversary of the death of Michael and Thomas. The event also commemorates the Cornish rising which Michael and Thomas led. On the march to London, Michael and the Cornish army passed through Horwood in north Devon. There, Michael nailed a piece of metal to the church door. This piece of metal was a sign of Michael’s trade – a blacksmith – and remained on the church door for many years.